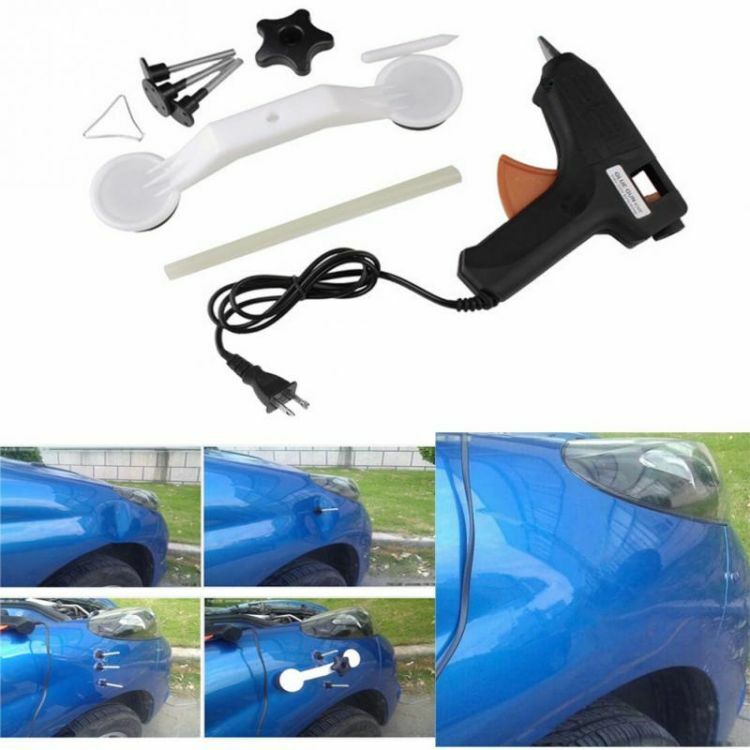 Our Paintless Dent Repair Kit is specially designed to repair the car body damage. 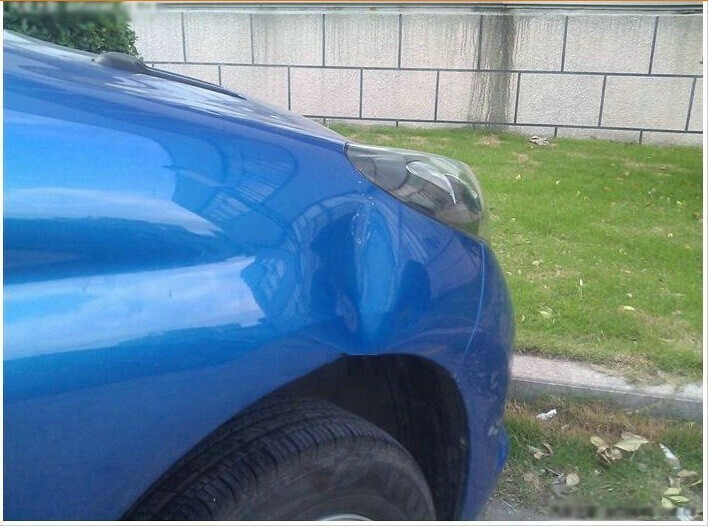 It does not damage the original car paint nor the metal parts. It is made of Aircraft grade High-Quality Aluminium Alloy and Stainless Steel. High Duty and High Bearing Ability guaranteed. What's more, it contains rubber tabs of different sizes to cater for different sizes of dents. 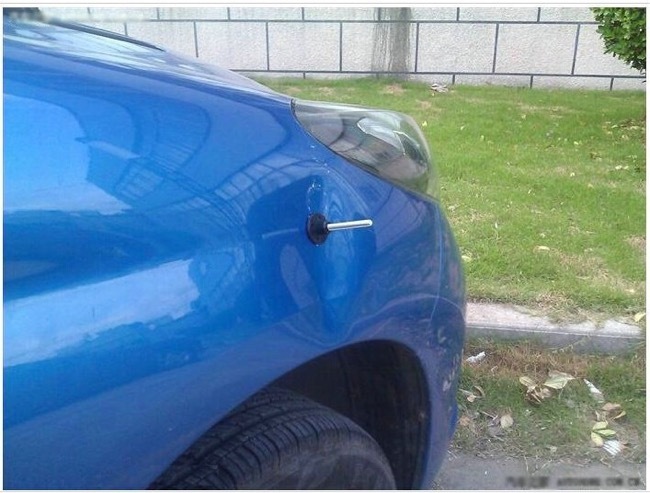 Easy to use, fix your car dents in 3 minutes. Package Includes 4 different sizes and shapes of cups to cater for different dents! Please wipe the car surface before repairing. Tracking numbers will be generated to most destination countries and provided upon request. Insured shipping included. We only carry a limited supply. If you see a “No Items” note at checkout, send us a note and we will notify you whenever we get more in stock. 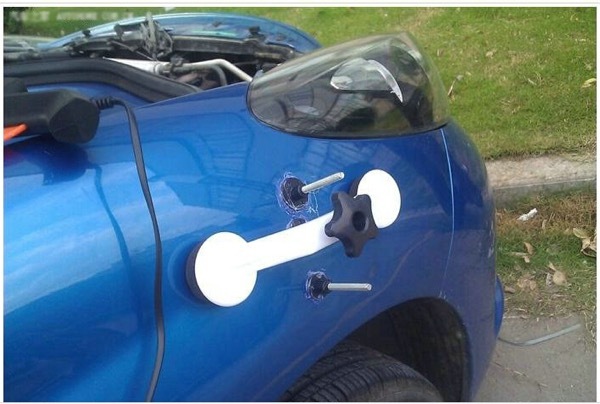 Use hot silicone glue adhesive to attach glue tabs onto the dent. You may use a regular hot glue with a hot glue gun, although we recommend the transparent hot glue in our bundles for better results. The patent-pending arched bridge design eliminates the chance for incidental damage. Other systems without our arched bridge design are known to be defective. 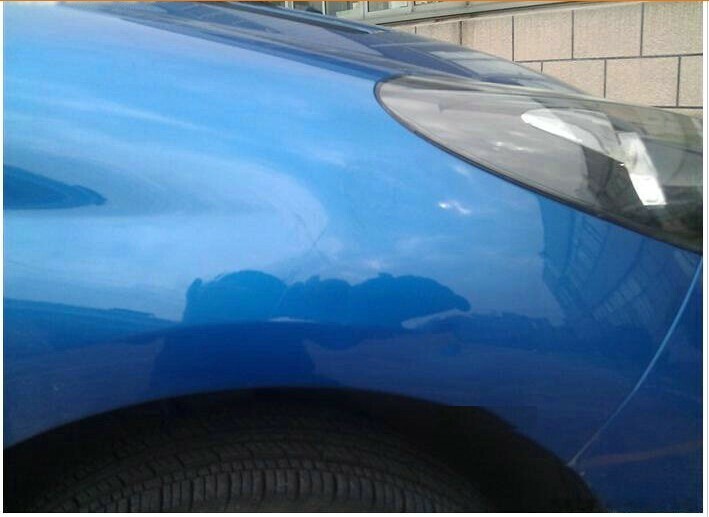 With continued practice you will get better at removing dents. 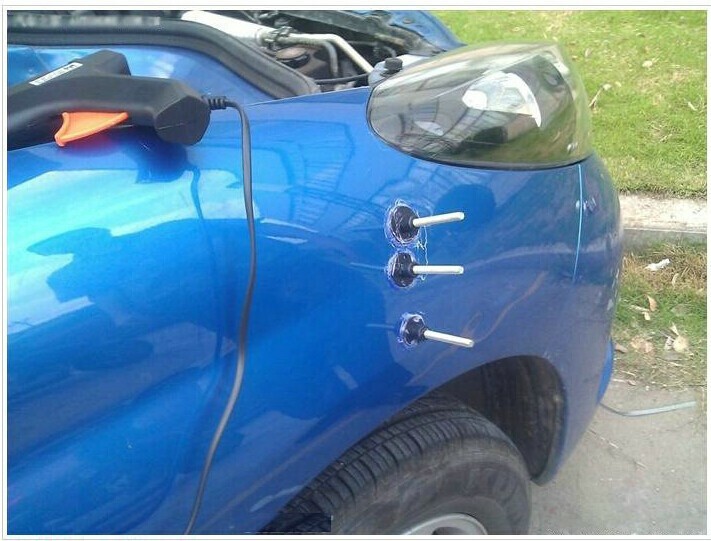 Add the hot glue to the pulling glue tab and onto the car. Once the glue has solidified, use the pulling bridge to remove dent. You may use a hot glue gun, although you may heat up the silicone glue with a match or lighter. Be careful as the hot silicone is very hot when heated and could burn hands or fingers. This is a why a hot glue gun is recommended. Align pulling bridges cross sectional to the dent so the dent remover has surface area to pull.